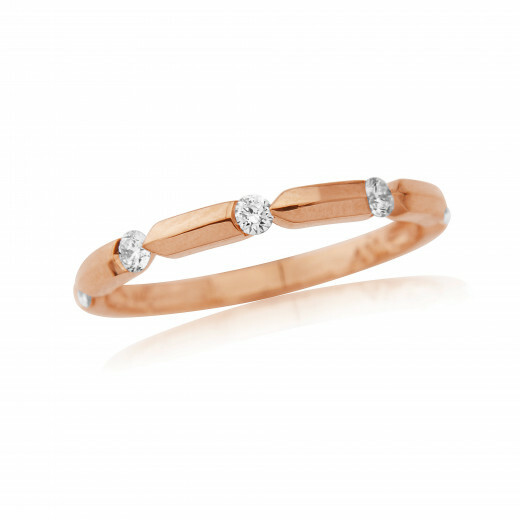 An unusual Rose Gold and Diamond Ring with five round, brilliant cut Diamonds set into a 'notch' in the Ring's band. 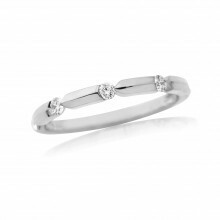 The inside of the Ring is smoothly polished whilst the outer has a bevelled 'pencil' edge. 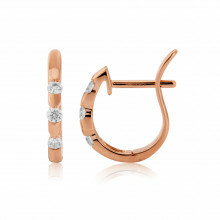 A clever and contmeporary way to show off these sparkling stones.